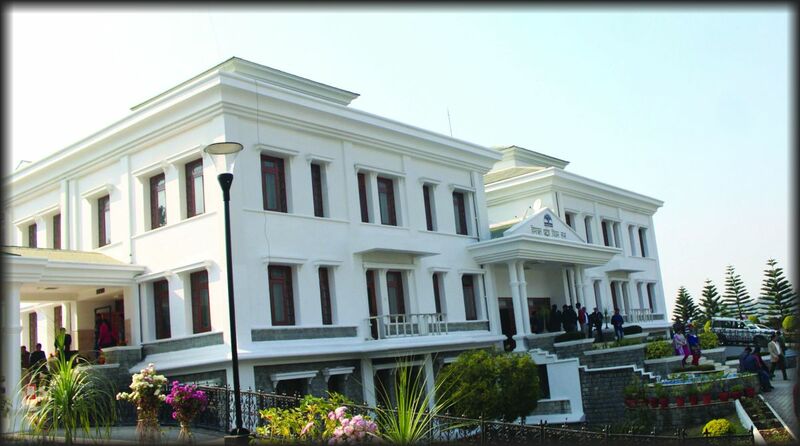 Having the distinction of being the first Vidhan Sabha to roll out paperless e-Vidhan Sabha system, Himachal Pradesh is now staking claim for setting up National e-Vidhan Academy (NeVA) at Tapovan in Dharamshala in Kangra district. HP Assembly Speaker Rajiv Bindal has written to the Central government to justify the government’s stand. Bindal said he had told the Union government that the move would be cost-effective owing to existing infrastructure at the second capital of the state, Dharamshala. As Tapovan premises of HP Vidhan Sabha including the Assembly House are already functional, the participants will have the feeling of an actual working environment which may not be possible in a simple training centre. Providing training in NeVA would be a continuous process because of inclusion of new members in legislative bodies after a fixed period and transfer or retirement of employees, Bindal said. The move of setting up a national training academy at Tapovan would put to use its premises throughout the year as at present only the winter session is held there for a week. In this way, there would be massive cost-savings and infrastructure developed at Dharamshala would be fully utilised. He said the state’s Legislative Assembly had become India’s first ever high-tech paperless legislative assembly after implementing e-Vidhan system successfully. “Himachal Pradesh Legislative Assembly is the only assembly in India that has become paperless after implementing e-Vidhan system,” he said. At Tapovan premises, training/seminars can be organised for the MPs/MLAs and officers from all over India and also from abroad for understanding and adopting e-Vidhan process in their respective legislative bodies. So far, three awards have been conferred on the e-Vidhan system of the HP Vidhan Sabha. Recently, National e-Governance Award was conferred for implementation, besides, two awards, Skoch Award Silver (Smart Governance) and Skoch Order of Merit, were also conferred. Delegates from 22 states of India had visited HP Vidhan Sabha to study the e-Vidhan system and had shown keen interest in rolling out the model in their states. “Moreover, delegates from other countries have also visited HP Vidhan Sabha and were also highly impressed with the e-Vidhan and expressed their keenness to introduce e-Vidhan system in their country,” he said. All states legislatures including Rajya Sabha and Lok Sabha have already sent the proposals to the Ministry of Parliamentary Affairs and Ministry of Electronics and Information Technology to roll out HP model of e-Vidhan system in their States. Bindal said the Union government should also replicate the model in the Indian Parliament to make the functioning paperless. He said at a meeting held on 22 June 2016, in Delhi, the then Parliamentary Affairs minister Mukhtar Abbas Naqvi had appreciated the initiative and had agreed in principle to establish National e-Vidhan Academy (NeVA) at Tapovan (Dharamshala). Dharamshala is a beautiful hill station lies on the spur of the Dhauladhar range, surrounded by cedar forests on the edge of the Himalayas. The weather is very pleasant in Dharamshala and well connected to Delhi via air route. This hillside city is home to the Dalai Lama and the Tibetan government-in-exile. There is also a beautiful International cricket stadium, Bindal added, while requesting the Union government to consider the proposal.